Godfrey, IL's favorite legal eagle, Wendy Julian, showed no signs of ring rust as she soared to victory on Friday night. 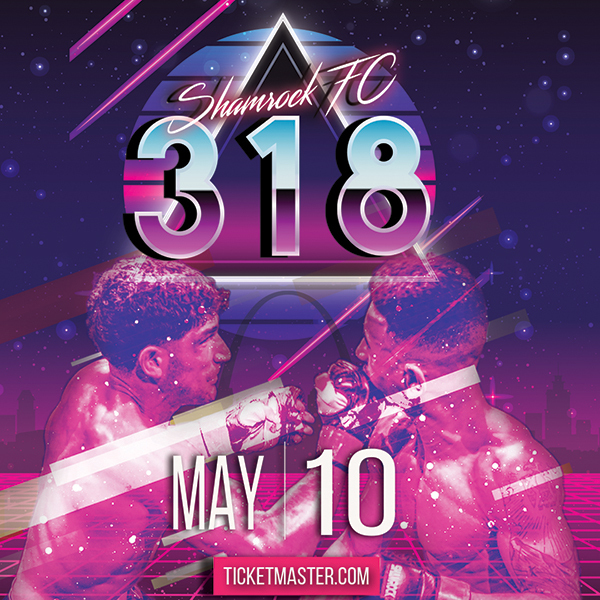 Julian returned to action after a two-and-a half year layoff to score a first round TKO victory over Lizzy Crowley to claim the Gateway Fighting Series strawweight women's K1 title. Using a nasty teep kick to throw Crowley off her game, Julian pounced on an off-balanced opponent and peppered her with knees to the solar-plexus. Referee Tim Francis, stepped into to give a brief reprieve to a bewildered Crowley, but it was obvious one of Julian's knees had snuffed out her fighting spirit. Moments after the standing 10-count, Francis would once again step in to save Crowley from any serious injury, as Julian's pressure never relented. "It felt awesome, I've been feeling that itch before I stopped," Julian said. "It's just something that never goes away." Despite a thunderous response from her fans, a cool and poised Julian, who works as an attorney, let down her game face only temporarily with a smile and wave to her fans. "You always have nerves before a fight." Julian said. "If you don't have nerves you don't know what you're getting yourself into. My coach Justin Church has been working constantly with me on knees, we've put a lot of work in on that." The addition of knee strikes rounds out what is already a polished striking game for Julian. After the fight she was very coy about a possible return to full-time action. "It's really hard working full time and being a single mom," Julian said. "It's hard to find time to train, but I love it so who knows. I'm going to celebrate tonight and see what I feel like doing tomorrow." After a close first round, Johnny Cox turned up the heat on his inside game. Cox seemed to prefer to fight from the inside. It wasn't long into the second round before Cox was and was able to force Dirk Jones to take a knee after an apparent rib injury, Jones wasn't able to answer the 10-count. Marissa Smith outclassed opponent Nora Hamilton in Smith's return to action after several knee surgeries. Smith cruised to winner's circle and strapped on the promotion's 155 title after Hamilton couldn't answer the bell between rounds. After the bout, professional MMA fighter Hugh Pulley proposed to Smith, his long time girlfriend, much to the delight of the fans. In one of two MMA bouts on the evening, Trevon Crawford bested Dillon Pousson after an injury forced a doctor stoppage. Seconds into the match, Crawford connected with a short right that put Pousson down, when Crawford followed, Pousson flipped the switch and unleashed his wrestling. Pousson smother Crawford on the ground, where he rode out most of the round on the back of Crawford. After a reset, Pousson went for a single against the cage. Crawford countered the takedown with big punches to the ribs, one of which seemed to really hurt Pousson. After the first bell, Pouson was unable to stand up after sustaining what appeared to be a calf injury. 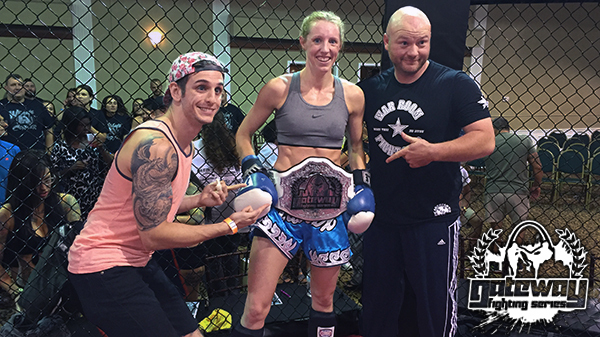 Lillie Seggelke and Chelsea Johnson put on an entertaining performance in a women's strawweight bout. With the excitement level red-lining, the crowd spent most of on the three-round fight on their feet. Johnson looked to punch over the top while Seggelke used technical combos to out maneuver her opponent. At one point Seggelke had Johnson pinned against the cage where she let go of a 30-hit combo with Johnson able to deflect most of the punches. Johnson was able to land some good punches, but it never stopped Seggelke from coming forward, and using superior footwork to land the majority of the strikes. After the scores were totaled Seggelke wins 29-28 unanimously. Arnold BJJ's Jamey Kroesen threw the kitchen sink at Dillan Schreiter, and couldn't find a way to stop him. Schreiter went into full-Diaz mode with hands down, egging Kroesen to punch him. Throughout the first Schreiter absorbed heavy punches from Kroesen with a handful of head kicks being the majority of Schreiter's offense. After a brisk pace in the first two rounds, action slowed in the third, but the antics of the first two rounds made for a entertaining encounter between the two. All three judges gave Kroesen the victory. A slimmed down Matt Matteson has made serious strides in training and looked very comfortable in his cruiser-weight K1 fight with Jack Reiff. Matteson, representing the Academy of Courage, showed impressive head movement dodging the big swings from Reiff relying heavily on his height to force the clench. Matteson slowed down the fight when possible using his clench-work to soften up his opponent with knees to the gut. Despite a vicious low blow in the third, Matteson regrouped and salvaged the round to win via split decision when the fight went to the judges. In a women's K1 match-up, Lorrie Thorpe used her size to bully opponent Gabby Lentz, keeping the pressure on for the majority of three rounds. Despite pressing the action, Thorpe wasn't able to inflict any real damage while scoring points. In the end the judges had Thorpe winning two of the three rounds. Edwin Rowe, from Watson Martial Arts, seemed eager to end things in his fight with Aaron Clarke. Rowe came out guns blazing, pressing his opponent into the cage where he unloaded a barrage of knees to the body. A third round knockdown put an exclamation point on a dominating performance winning 30-27 on all three scorecards. The "Cowboy" Richard Jones stopped Kevin Harvey in the first after Harvey couldn't answer the bell after the second knockdown. Jones, training out of the Danger Room, fired off a front kick to keep Harvey off balance and once he sensed victory put heavy pressure to wear out Harvey. Cortez Burnett and Eric Schmidt kicked off the action with Burnett from the UFC Gym in Chesterfield scoring a unanimous decision. After winning the first round, Burnett had to rally late in the second when Schmidt came out firing to start the second. Burnett rode the momentum from his late push to cruise to victory in the third when action began to slow. "This fourth show really felt liked the first show in terms of support," Daniels-Block said. "We had an absolutely stacked card. We had some of the most popular and dangerous fighters on this card. Stacked from top to bottom with new talent, old talent, people returning it was crazy." Gateway Fighting Series returns with a Pro/Am event on November 18th for it's 5th event its inaugural year. "I feel like with my fifth show I need to give back a little bit," Daniels-Block said. "That means take a little more of a risk with a pro show. I already got some guys in mind. You're going to see some people you thought you'd never see back again. We're doing it in the ring, and when I say we're doing it in a ring that should tell you a little bit about who we're going to see."